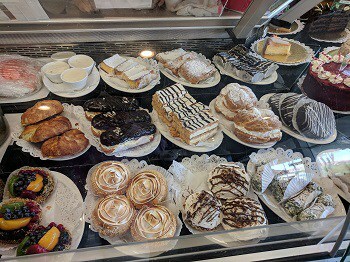 Sherman’s Deli & Bakery in Palm Springs is a legendary NY style delicatessen. Back in the day, Sherman Harris has served celebrities and notables who visited the desert. When I mentioned the deli to old time Los Angeles transplants, they regaled me with stories from their youth about eating in the deli. 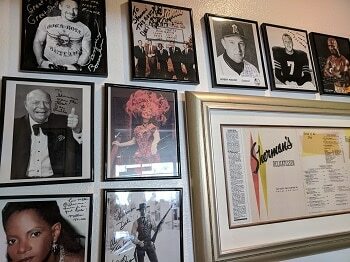 Sherman has since passed away but his generous spirit lives on in the deli and there is a star for him on the Palm Springs Walk of Stars. 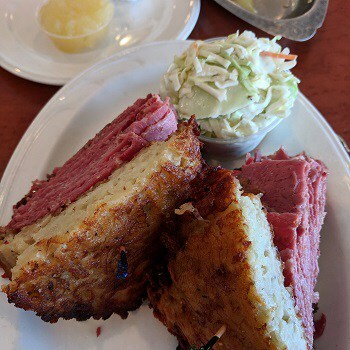 Another location is in Palm Desert and either location has house made latkes, blintzes, brisket and pastrami. Road trip to Palm Springs!